The five years agreement builds on a cooperation for the past two decades. Due to this close, good collaboration and positive experience, both EIDEL and Norautron are pleased to announce the commitment for further cooperation. "Norautron is highly competitive and has the necessary level of competence to meet our requirements. The long-term relationship combined with a good cooperation climate puts Norautron in the position as a low-risk sustainable partner," says Truls O. Andersen, Managing Director at EIDEL. EIDEL provides system engineering with both standard products as well as custom designs. The foundation of EIDEL’s expertise is combining customer requirements with their own state-of-the-art technology into high quality products and systems. EIDEL cooperate with leading manufacturers to create high quality systems that includes sensors, cables, enclosures, electronics, transmitters, antennas and other equipment. 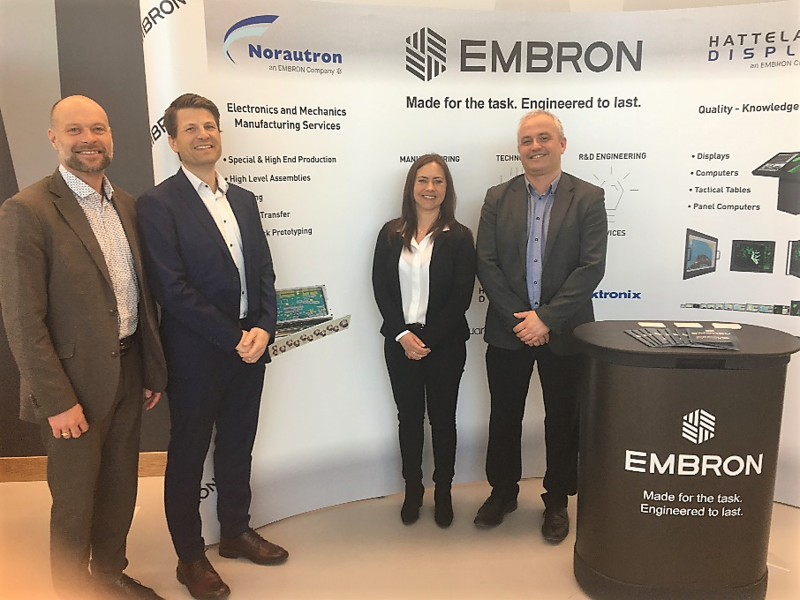 As the leading Norwegian EMS company within this niche, Norautron will continue to support EIDEL with early phase development, sourcing, prototyping, electronics- and mechanical manufacturing services. We are proud to announce this extended partnership. EIDEL is a partner who design and deliver state-of-the-art technology to several demanding market segments. This is a partnership which drives us towards new competence and markets,” says Håvard Østby, VP Sales & Marketing at Norautron. EIDEL has designed and delivered products and control systems for industrial, military and aerospace markets since 1986. The expertise covers both hardware system definition and software.